Buy the book Alan Turing: The Enigma, the book on which the film is based, cheaply from Amazon. You too can earn money from writing articles by signing up for InfoBarrel. 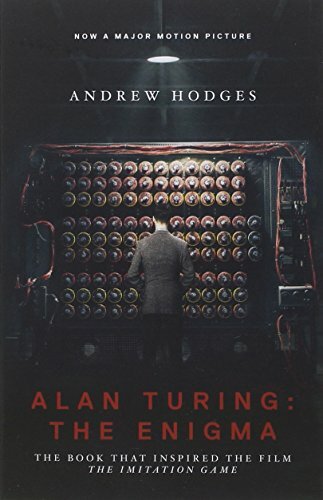 The Imitation Game is based on the biography Alan Turing: The Enigma by Alan Hodges. It starts in 1951 in Manchester, where Alan Turing (Benedict Cumberbatch, Star Trek Into Darkness, The Hobbit: The Battle of the Five Armies, The Hobbit: The Desolation of Smaug, Tinker, Tailor, Soldier, Spy), a professor at King's College, Cambridge, has suffered a break-in. The resulting police investigation into the matter started a chain of events that the British Government eventually issued a public apology for in 2009 and a full pardon in 2013, far too long after the fact. The main events of the film are then effectively narrated from this date, and the film then turns to London in 1939 at the outbreak of World War II. Credit: http://en.wikipedia.org/wiki/The_Imitation_Game#mediaviewer/File:The_Imitation_Game_poster.jpgTuring was a mathematical genius and is today considered to be the father of theoretical computer science and artificial intelligence. In the film he is heading for Bletchley Radio Manufacturing, better known as Bletchley Park, which was the headquarters of British code breaking in World War II, in particular the German Enigma machine, whose codes were considered unbreakable. Turing is interviewed by Commander Denniston (Charles Dance, Dracula Untold, Pride and Prejudice and Zombies, Underworld: Awakening), and the interview does not go well. Turing is socially awkward and has definite problems with socialising with others, and seems to lack a sense of humour as well. Denniston is not impressed, especially when he discovers that Turing does not speak a word of German; the latter believes that that is unnecessary for solving the Enigma problem. They have one Enigma machine that had been acquired by Polish intelligence. Turing's method is to design and build a machine that will break the Enigma code. His attitude does not endear himself to his fellow codebreakers of Hut 8, initially led by Hugh Alexander (Matthew Goode, Stoker), but later by Turing himself - something that also does not endear Turing. Commander Denniston views Turing with disdain; one of the few who seems to consider him valuable is a member of Britain's Secret Intelligence Service (commonly, and inaccurately, known as MI6), Stewart Menzies (Mark Strong). A public crossword puzzle is set to attract new staff. Most of the respondents are men, but one is a woman, Joan Clarke (Keira Knightley, Jack Ryan: Shadow Recruit, Seeking a Friend for the End of the World), who has to overcome a lot of prejudice from the beginning - although not on Turing's part, as he is rather impressed by her intelligence. Joan also helps Turing get along better with his fellows, teaching him some social graces for want of a better description. The main story of the film takes part in World War II, but there are also events taking place in 1951 and later, as well as during Alan Turing's school years. There are also a number of genuine clips from the war interspersed within the film. The Imitation Game is probably not entirely accurate - in particular the membership of Hut 8 does not seem to gibe with the true membership - but it has been generally well received by those that know some of the actual events, which would seem to show it has stayed reasonably close to the spirit of the matter. This isn't just a war film, though, even though the main events do take place during the Second World War. There are other matters which, even though they don't appear to form part of the main story, are a significant part of Turing's own story, and how he was treated. It also shows just how important cracking the Enigma code was, even if the exact importance is debated, and the problems that arose when it was eventually cracked. There are occasionally funny bits, often connected to Turing's problems with jokes, and people, as they result in actions that are inadvertently humorous. The Imitation Game is probably one of the better historical films around, and worth seeing for how badly Turing was actually treated, which was a crime in itself.